Are you one of those people who thinks they don’t have a creative bone in their body? Guess what! You were created in the image of God. And if you’ve looked around lately, you can’t help but marvel at God’s creativity…the colors of the sunset or rainbow, the millions of different types of flowers and birds and most importantly the uniqueness of every single human. So, yes dear, You are creative too! 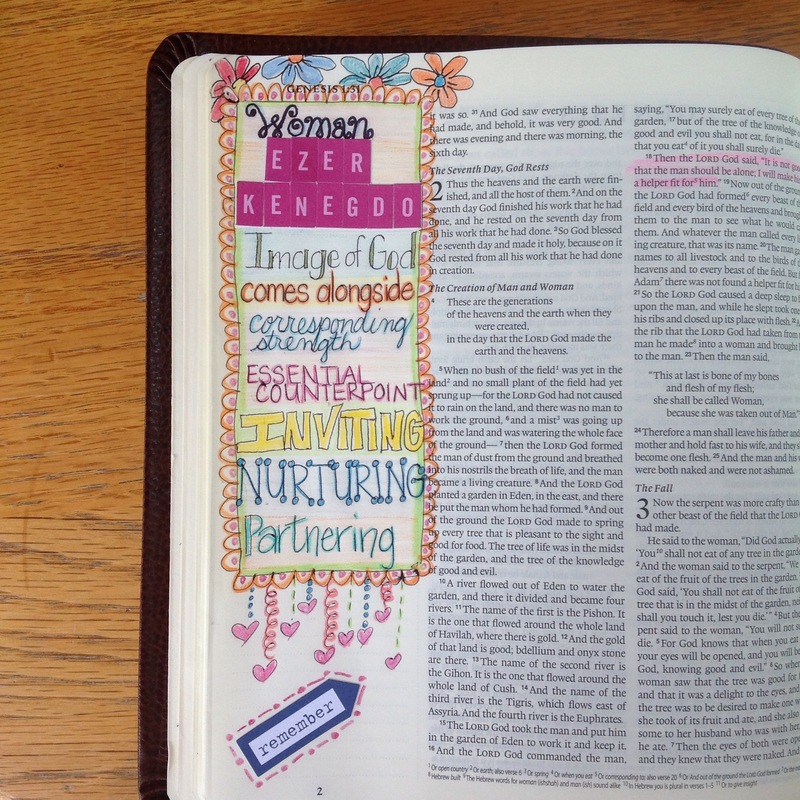 I’ve written before about bible journaling here. 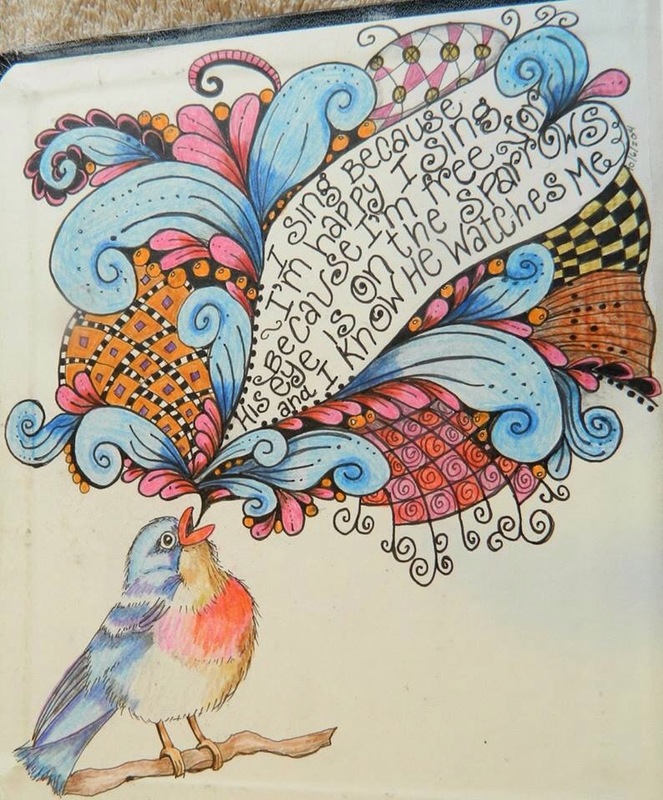 Drawing and doodling in my bible may seem crazy, but for me, I am become immersed in the verses. 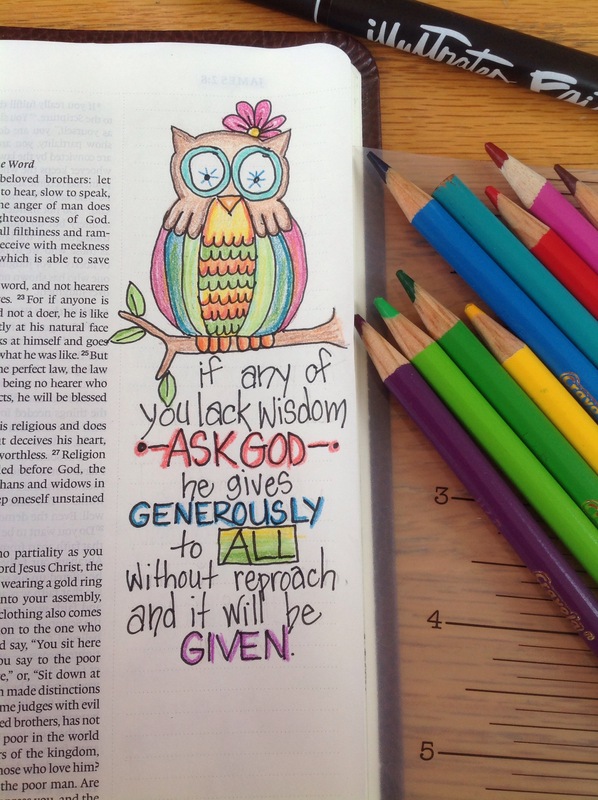 I end up repeating the verse over and over as I am drawing, I think about what it means to me and I usually end up praying about it. 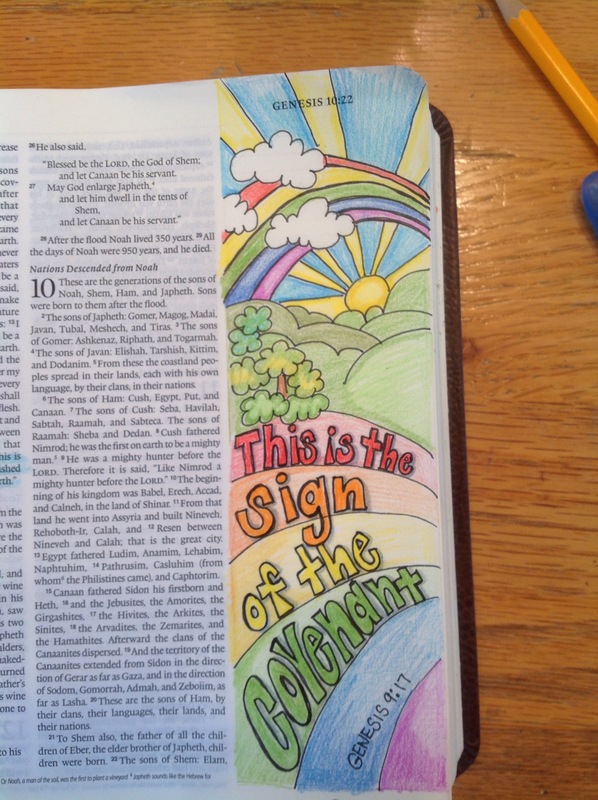 I’m a visual person, so drawing and coloring bring scripture to life. Where do you start? 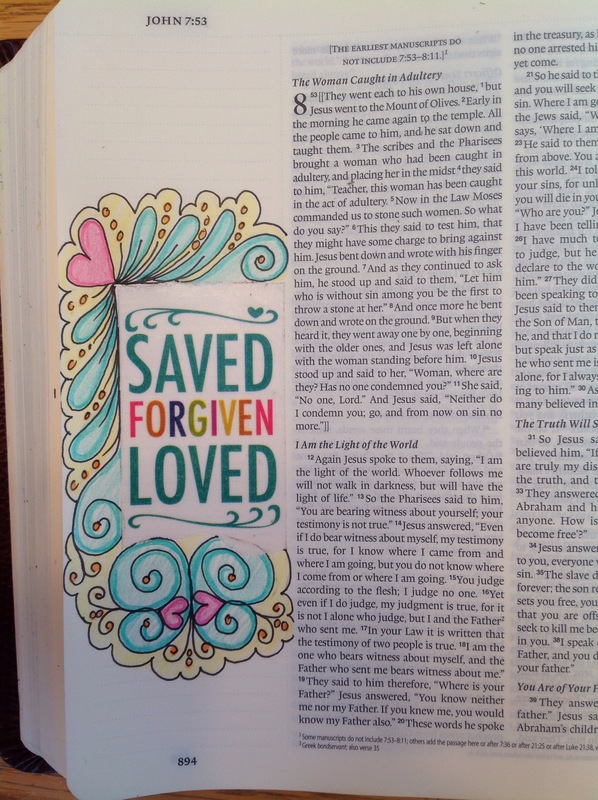 Well, Illustrated Faith is a perfect place to begin. Not only do they have process videos and inspiration, you can buy your supplies here too. You think you can’t draw? Well then, here are some stickers for you! and here. 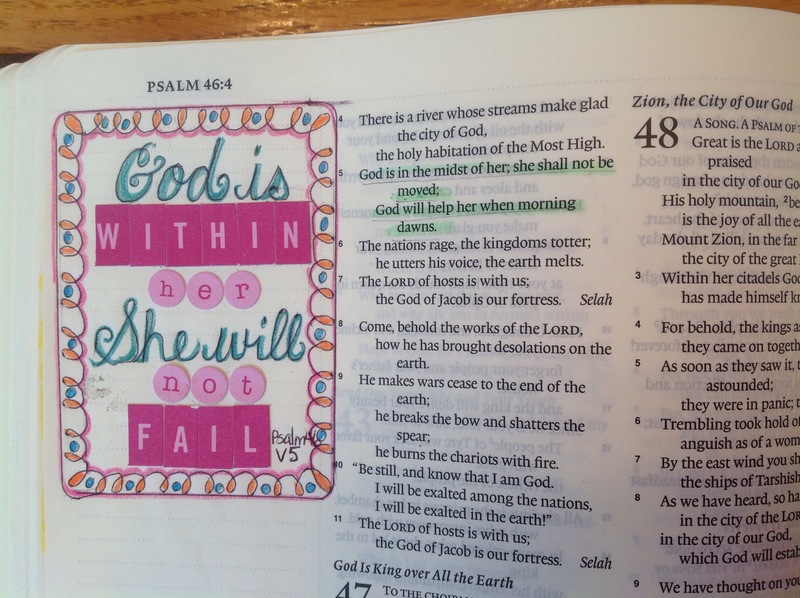 Sure I put in some squiggles, used my own handwriting and colored it in, but both of these pages used stickers as the main focus. Do you notice the smudges in the photo above? Yea me too. I did not use the right kind of pen. I used just a ball point pen, which did not dry completely as I was erasing pencil marks. Tip: Use Illustrated Faith’s black micro pen. It goes on nice and dark, doesn’t bleed like a sharpy and dries quickly. This is nice for an impatient person like me. Oh goodness! Check out a few of the paper tapes they sell. I love! Lettering can hard. Placement, size and font can get tricky. 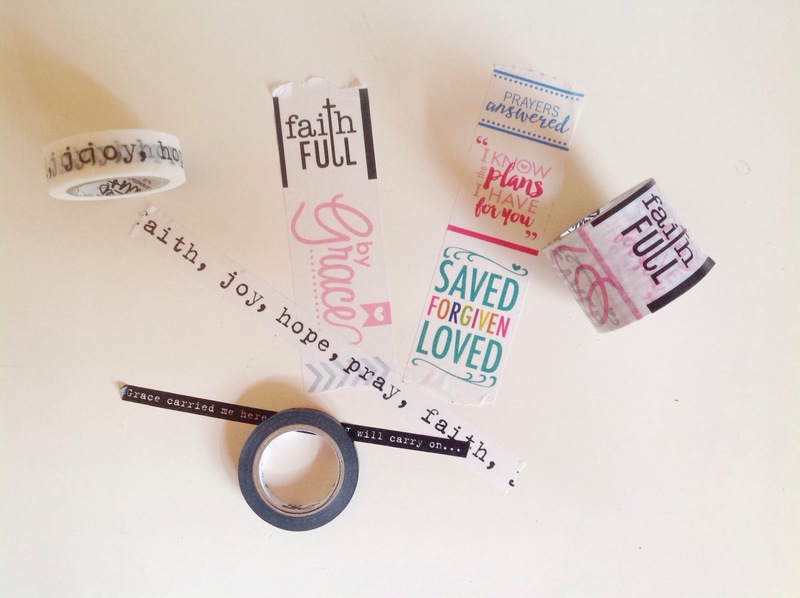 So how’s this idea…tear off a piece of tape then doodle all around it! Easy Peasy! 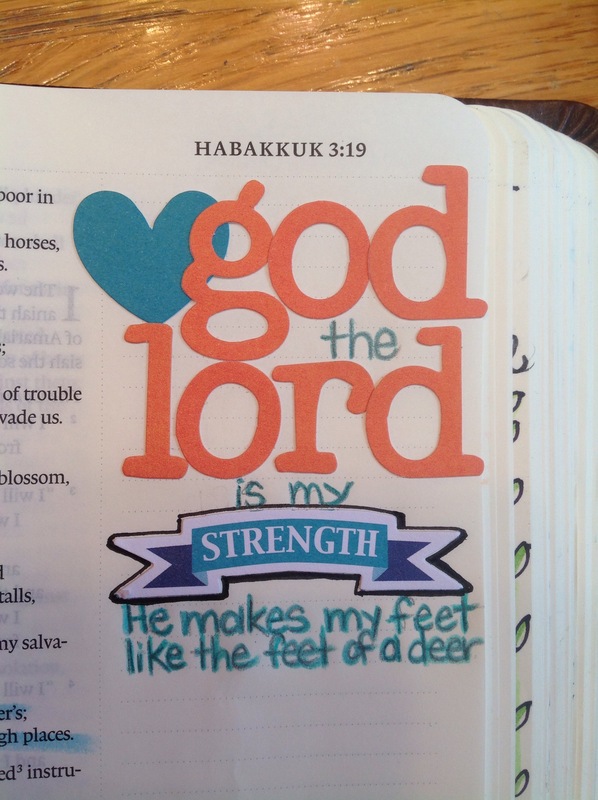 Illustarted Faith has stamp sets that correspond to different devotion sets. 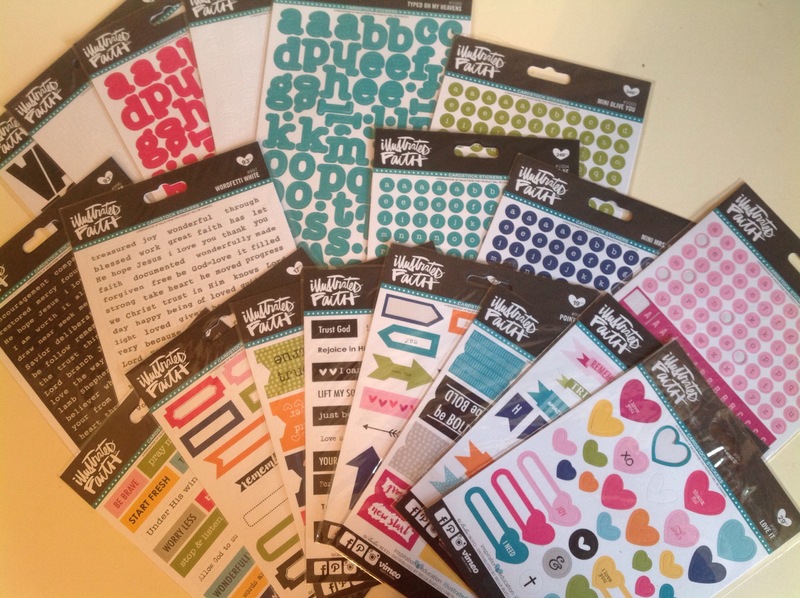 The stamps will have words, doodles and pictures…again no drawing! Join the IF Facebook group and be inspired by other bible journalists. The artist above, Kitty Kizziar, really caught my eye. I love her use of colors and doodling style. I wanted to do it myself. 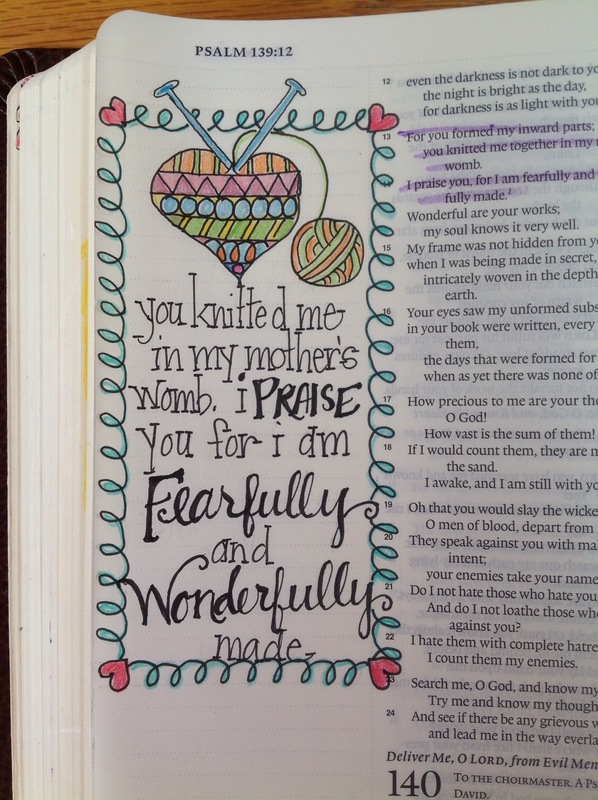 Remember Friend…you were created in Gods image. You are creative. 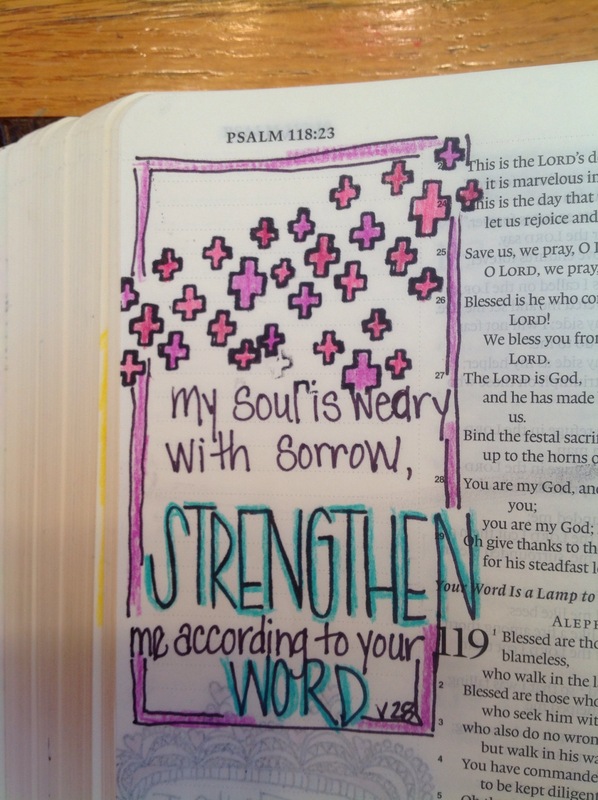 Posted on October 2, 2015 by mary •	This entry was posted in Faith and tagged bible journaling. Bookmark the permalink.